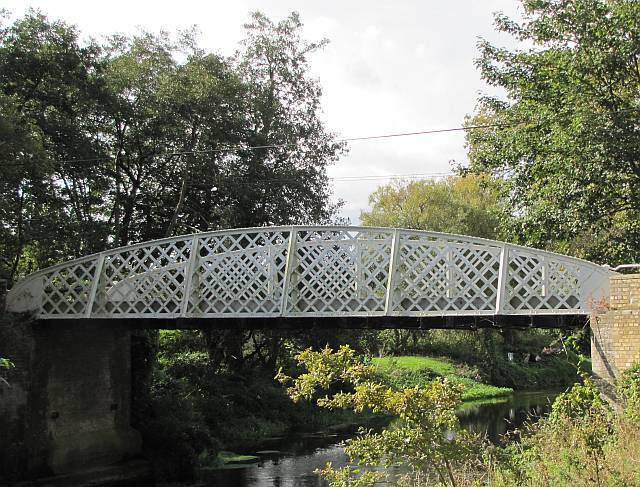 “The bridge is suspended from brick piers on either bank, these being of Thetford white bricks in English bond, strengthened by iron tie-beams. The sides are of diamond-patterned ironwork with a curving iron parapet incised with the manufacturers name: Stockton M I Co. Iron protective handrails at either end of the bridge are mostly missing, their positions indicated by joints. The structure was supported on iron girders, every third one of which is larger than the others. The road surface of tarmac is laid on concrete which in turn is moulded on corrugated iron sheets. The superstructure provides the suspension and strength. Heavy timbers, resembling railway sleepers, are fixed along each side of the road over the bridge. It is single carriageway width. The bridge was erected sectionally early in World War I by the Canadian Army for the Home Grown Timber Board, a part of the Ministry of Supply. 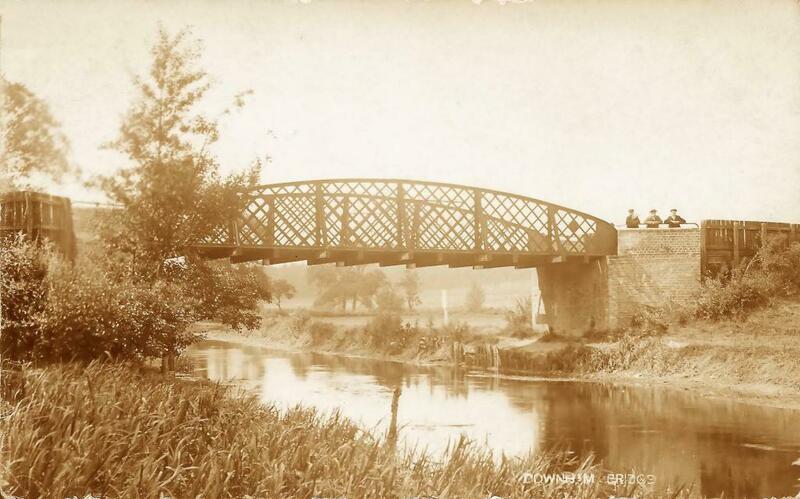 The bridge was to serve a logging line which stretched from High Lodge (TL 811851) for two and a half miles to sawmills. The track was 3ft gauge. Until 1919 the estate within which the line lay belonged to the McKenzie family. Early in the 1920’s the hall was demolished and the estate purchased by the Downham Syndicate, a land company. In 1923/24 it was sold on to the forestry Commission. The track was lifted during the late 1920’s, being replaced by forestry tracks. The southern or Suffolk sawmill can no longer be traced, but the northern Norfolk sawmill was replaced by a creosote plant and some sawing of posts was still done there up to at least 1948. The foundations of the creosote plant can still be seen and nearby bumps under the grassy forest floor may represent the site of the sawmill. The creosote plant closed down in c. 1968. A loco shed stood to the east of the post office. A Bagnall Locomotive which had been delivered to the tramway in 1919 was sold off by the Board of trade in 1922. It was an 040 saddletank. 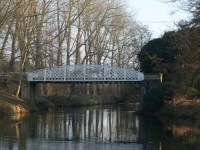 The bridge was strengthened by a central pier or support when in use for logging tracks. No trace of this was found. There is a photo gallery of views of the river from the Bridge. 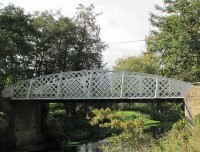 The photo on the right shows the bridge in October 2011. Alas access to the far side of the river is much more difficult than when the original photo was taken. This next photo is from the otherside taken in January 2017.